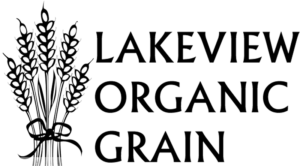 Lakeview Organic Grain carries a full line of certified organic feed grains, bagged feed, approved supplements and organic crop seeds. We also carry organically approved animal health care products that can be delivered with your feed at no extra cost. Our mill is certified organic with NOFA-NY and we exclusively handle organic grains – we handle no conventional grains in our mill. We deliver bulk organic feed throughout New York and northern PA, and deliver/ship seed throughout the Northeast. We operate out of the former Agway feed mill in beautiful downtown Penn Yan.